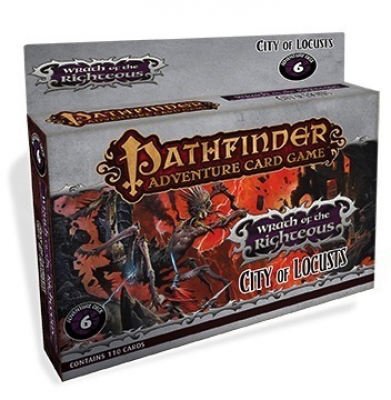 Find the best deal for the board game Pathfinder Adventure Card Game: Wrath of the Righteous: City of Locusts Adventure Deck. The following stores have the game listed. If you would like to be notified, when Pathfinder Adventure Card Game: Wrath of the Righteous: City of Locusts Adventure Deck is in stock, you can enter your e-mail here. We will send you a mail, once Pathfinder Adventure Card Game: Wrath of the Righteous: City of Locusts Adventure Deck is in stock in at least one store. We will not use your e-mail for any other purpose than sending you this one e-mail.